The Massachusetts Appeals Court issued an important decision this week on preserving a “Pinti” defense under paragraph 22 of the standard mortgage. In US Bank v. Milan, the Appeals Court ruled that a homeowner failed to preserve this foreclosure defense and was precluded from raising it in his foreclosure case (a full copy of this decision is below). Paragraph 22 of the standard mortgage (used for most residential home purchases) requires that a default notice be sent to a homeowner containing a number of required disclosures before a foreclosure sale can proceed. In Pinti v. Emigrant Mortgage, the Supreme Judicial Court held that a lender must strictly comply with this mortgage requirement. Failure to do so makes any subsequent foreclosure sale void. Pinti, importantly, limited the homeowners who were entitled to this defense. Initially, the decision only applied to those paragraph 22 notices sent after July 17, 2015 (the date of Pinti). The Appeals Court subsequently extended the benefit of Pinti to those homeowners who had a pending appeal on the paragraph 22 issue, and later, to any homeowner who raised it as a defense in a pending trial court case. In this present appeal, the Appeals Court needed to determine what counts to preserve this defense in a pending foreclosure case. How Does a Homeowner Preserve a Paragraph 22 Defense? In this case, the homeowner was in a post-foreclosure eviction case, where the bank alleged to have foreclosed the home. The homeowner was entitled to defend against the eviction by arguing that the foreclosure was void, precluding the bank from obtaining possession of the home. Here, the homeowner appears to have answered the bank’s eviction lawsuit by using a printed answer form, which allows claimants to raise defenses and counterclaims by checking a box. This homeowner made a general allegation that the foreclosure was void. In response to the bank’s inquiry on the basis of this defense, the homeowner alleged that there was forgery in his case, and did not mention a failure to comply with paragraph 22 of his mortgage. While this case was ongoing, the Supreme Judicial Court issued Pinti. The trial judge ruled that Pinti applied because the homeowner preserved a Pinti defense in this case, and found the overall foreclosure to be void. The Appeals Court disagreed, ruling that the homeowner listed forgery, and not a paragraph 22 defect, as the asserted grounds for the homeowner’s foreclosure defense. In other words, the Court was not willing to let the homeowner “change horses midstream” and get the benefit of Pinti after stating a prior, separate basis for his foreclosure defense. Recent court cases have been favorable to foreclosed homeowners with a paragraph 22 defect. Milan suggests that there are limits to who can get the benefit of Pinti in their case, and that a failure to expressly raise this matter can be fatal to one’s defense. This decision, however, really only applies to homeowners with a pending foreclosure case who received a defective paragraph 22 notice before July 17, 2015. Homeowners who received a defective notice after this date will likely have much more leeway in raising a Pinti defense. While the Court did not address this issue, Milan touches upon the problems of using forms in answering or bringing a lawsuit. Such forms allowed a claimant to raise a defense or claim merely by “checking a box” and without providing any supporting facts or detail. I have long believed that these forms are problematic and not proper under the requirements for raising a legal claim. 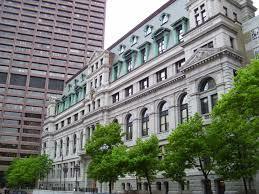 Milan suggests that Massachusetts appeal courts may be inclined to take a closer look at this issue in the future. Regardless, this is a reason why the benefits of finding an experienced foreclosure defense attorney cannot be overstated. This entry was posted in Massachusetts Foreclosure Law Blog and tagged appeals, court decisions, Foreclosure law, foreclosure process. Bookmark the permalink.